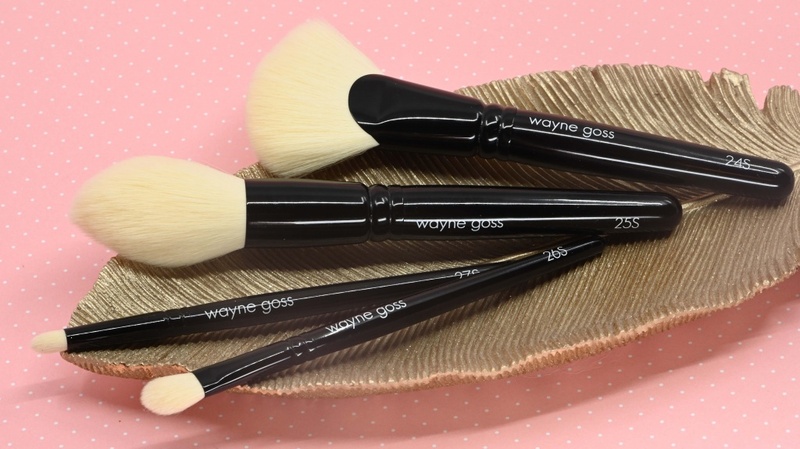 Wayne Goss is releasing today a collection of 4 synthetic brushes! They will be available on Beautylish starting on the 1st of February at 10:00am PST / 1:00pm EST, this set retails for 140$. They are permanent, for the moment no plans for releasing them individually, I have asked Beautylish and they told me they will inform me if this changes. I have received mine as a gift from Beautylish, they arrived yesterday, I washed them immediately, took some pics just after they felt completely dry and used them twice. That’s all I was able to achieve so far… I could not test them thoroughly and I would like to do so and update this review in the very near future, so far, I am happy with what I see and feel!! Some companies that were in the past using natural bristles have moved to synthetics, some just partially, others completely. 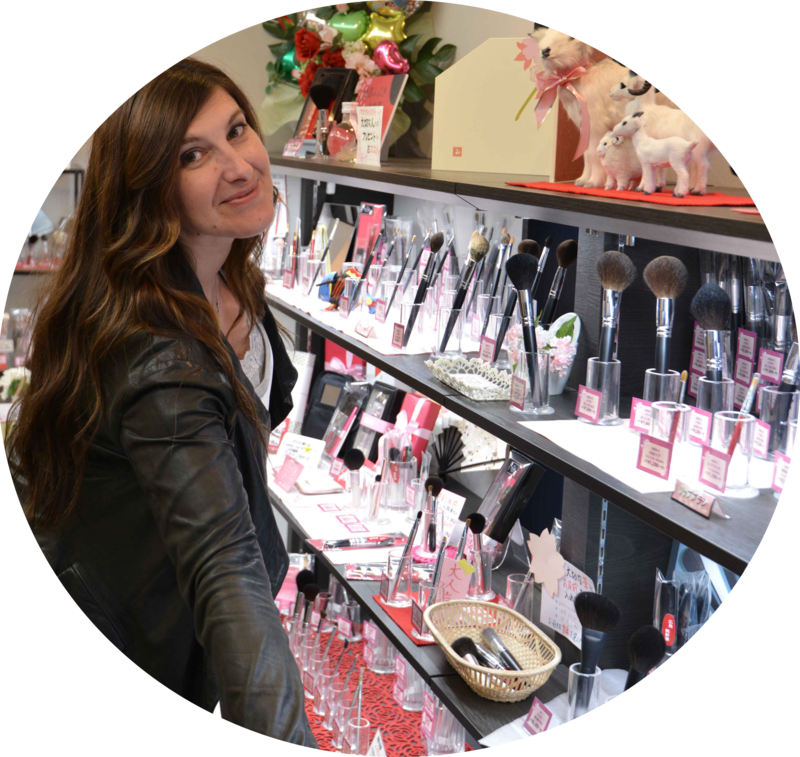 The reasons why they do it are various, either for cost cutting (I know quite a few), or because they believe that synthetics perform just as well, or because they want to go for vegan products. 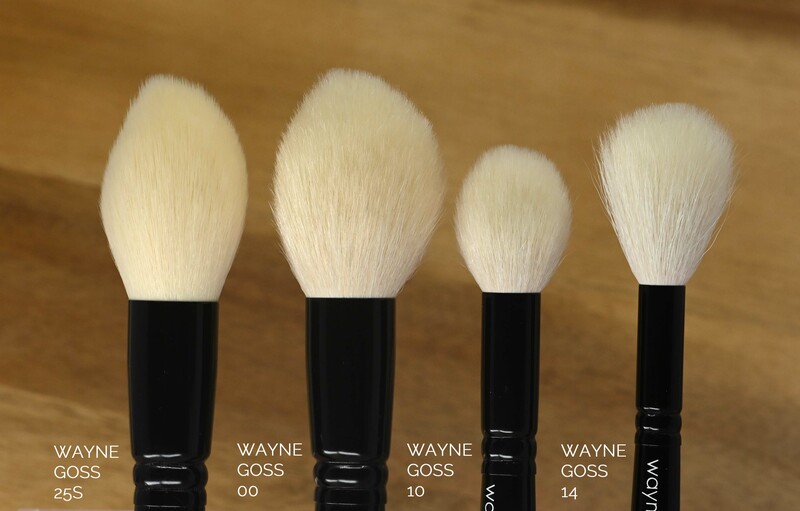 Just like his natural brushes, Wayne Goss Synthetic brushes are handmade in Japan by the same artisans, he could have switched to machine-made cheaper synthetic brushes but he did not. 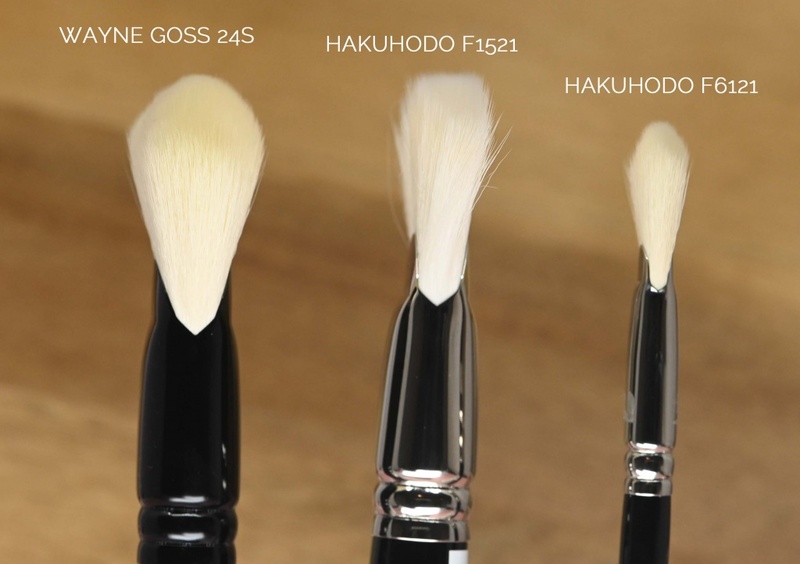 These 4 brushes are now only bundled with synthetic fibers, depending on each brush these fibers are even different per brush, if his 4 brushes feel the same, technically they aren’t. The filaments used on these brushes are not the same as the ones on synthetic brushes, commonly seen on the brush market, those are mostly bundled with PBT or PTT. 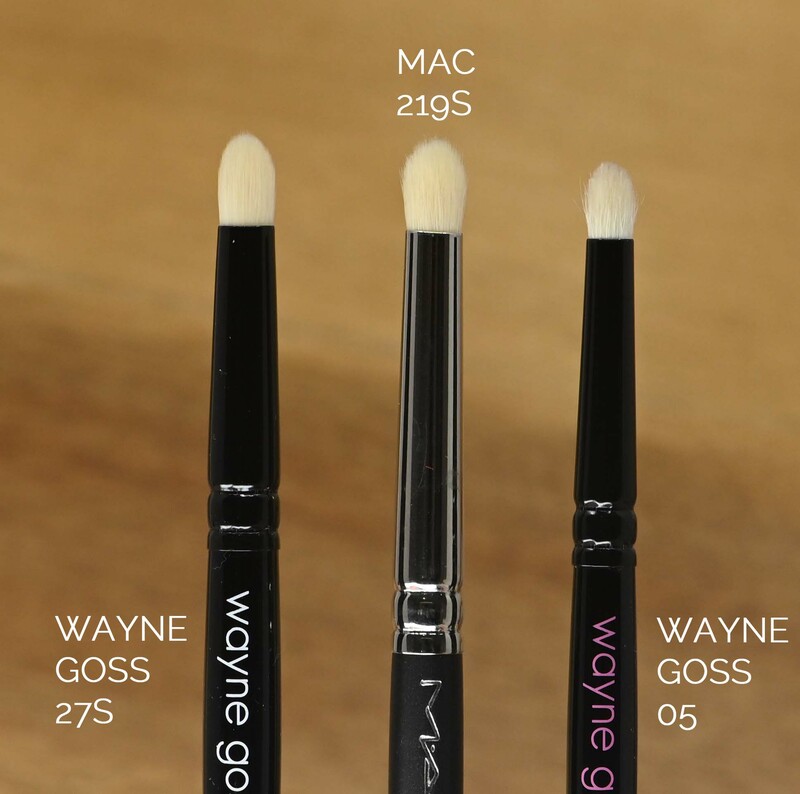 Now, Wayne Goss brushes also uses PBT (Poly Butylene Terephtalate) and PTT (Polytrimethylene Terephthalate) but includes a special fibre made in Japan. The Japanese company responsible for this special fibre produces it in their own factory in Japan with a special cutting edge technique to process resin. These fibers are meant to keep their shape better and perform better with use, which is not always the case with filaments such as PBT and PTT. The artisans in the manufacture in charge of Wayne’s brushes have particular skills that include the complex blending of the different kinds of filaments, which I heard was not easy at all, and they adjust these type of filament blends together with the technical specs in accordance to the purpose of the brush. They also leverage traditional methods combining the skills of the craftsmen and at the same time promote the Japanese fiber that is so much more difficult to process (unlike PBT and PTT) and in terms of time, it takes several times more to achieve them. 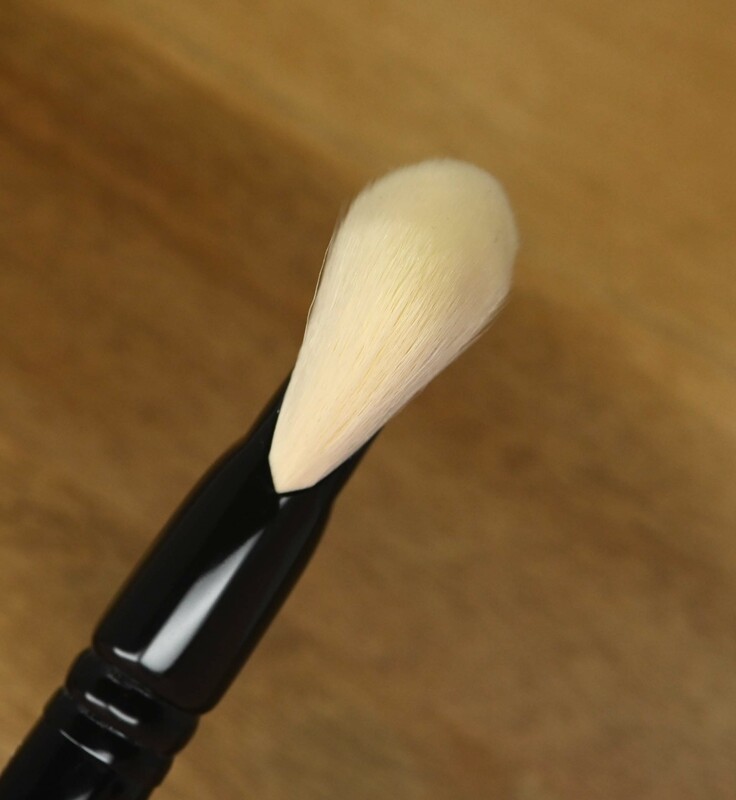 I am talking about this because I know that it is surprising to see synthetic brushes being that expensive, but the cost is both in the handmade process and in the fibers used. Wayne did not include synthetics to reduce costs or because he did not love natural bristles anymore, but he certainly wanted to answer some requests I saw he was receiving to also release synthetics, and he did a great move, it’s really amazing that he stayed with the same artisans and that he answered those requests too. I hope this helped to shed a bit of light about the costs and the making of these synthetic brushes. I have seen many comments of customers not understanding the price tag but there is a reason behind it. 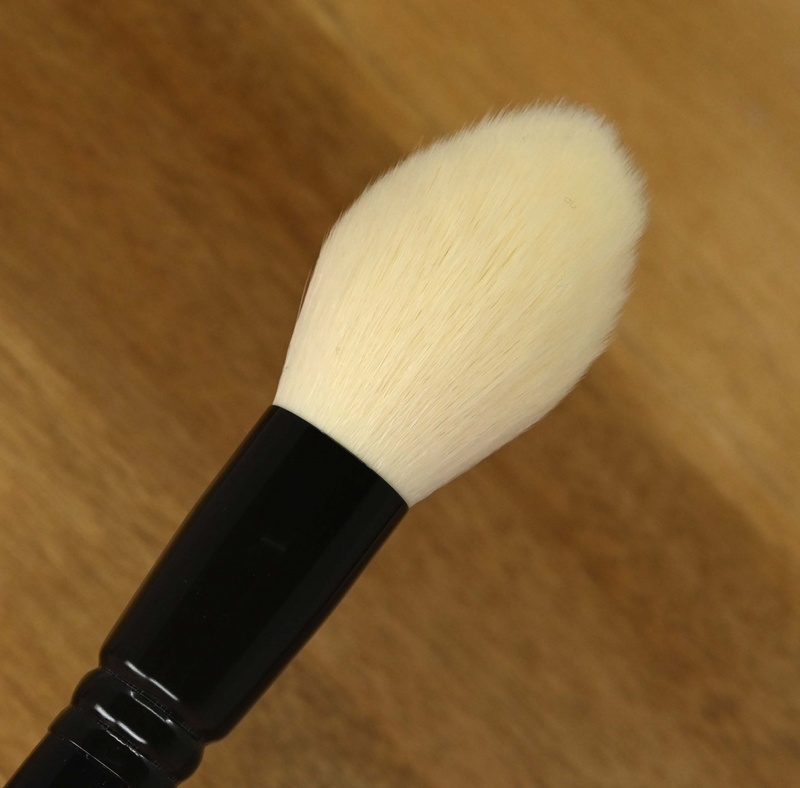 It’s a fan style brush, I have used it for foundation and it worked really beautifully for a sheer application (I have to use other thicker foundations), then I used it with highlight and the result was pretty intense. I cannot comment a lot on each result because obviously, I just got them. These fibers can be used with any type of product, I have used foundation and then powder (without washes in between but some time to allow drying of the foundation residue) I have noticed that the bristles don’t remain sticking together (some synthetics bristles stick together quite a lot and it’s a pain to switch products without a previous deep cleansing). 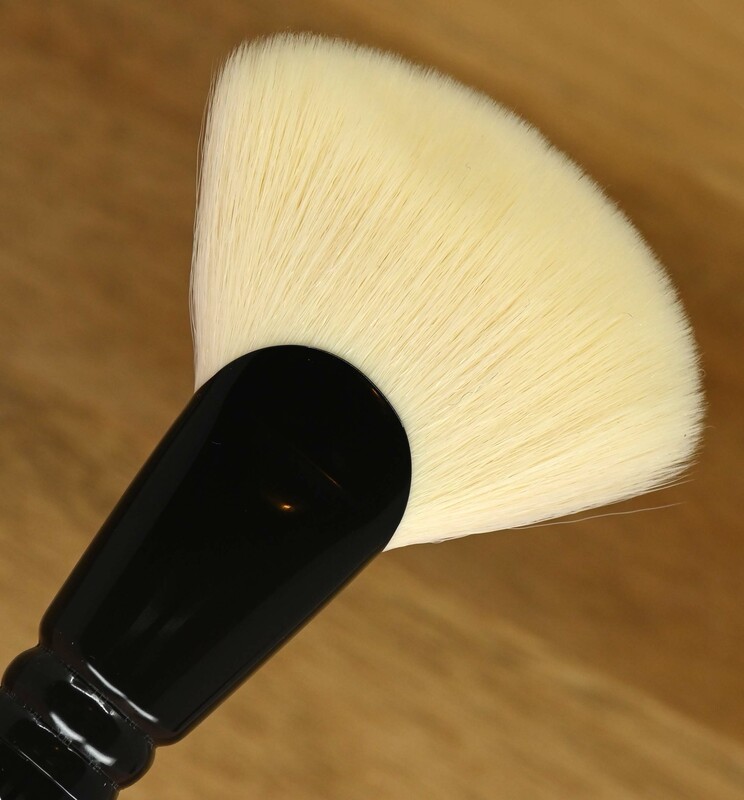 It’s dense and thick sideways so it makes the surface of the brush nice to use for blending. A natural brush is going to move with more airiness in comparison, these synthetics bristles have more grip onto the skin. It’s a candle shaped brush and this is my favorite from this set! 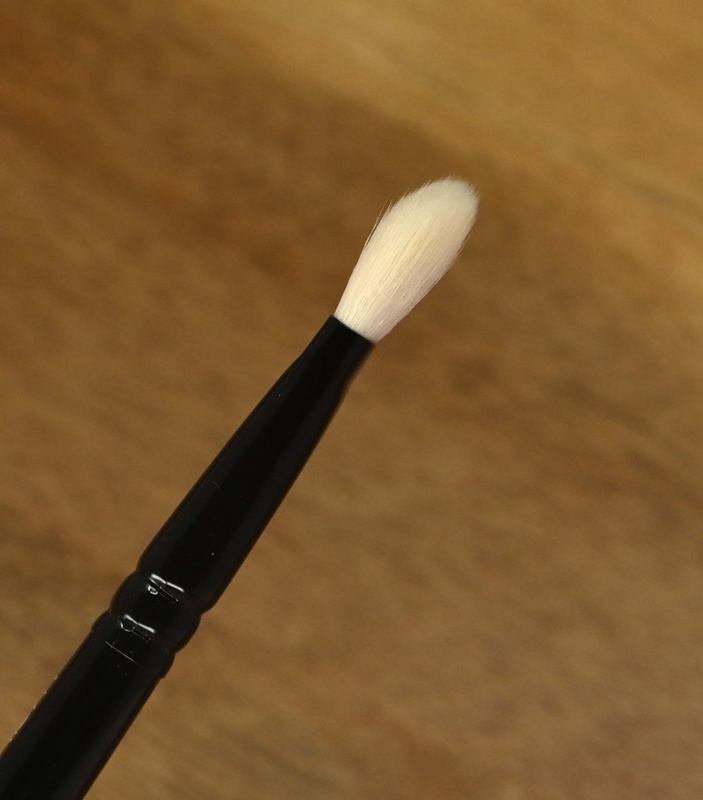 I struggle with synthetic bristles for applying powder on my skin, even though I have very dry skin synthetic bristles tend to have too much grip onto the skin and specially in the summer, it bothers me a bit. These bristles feel great, airy, I used a neutral and a very pigmented blush with it and both applications were very good! 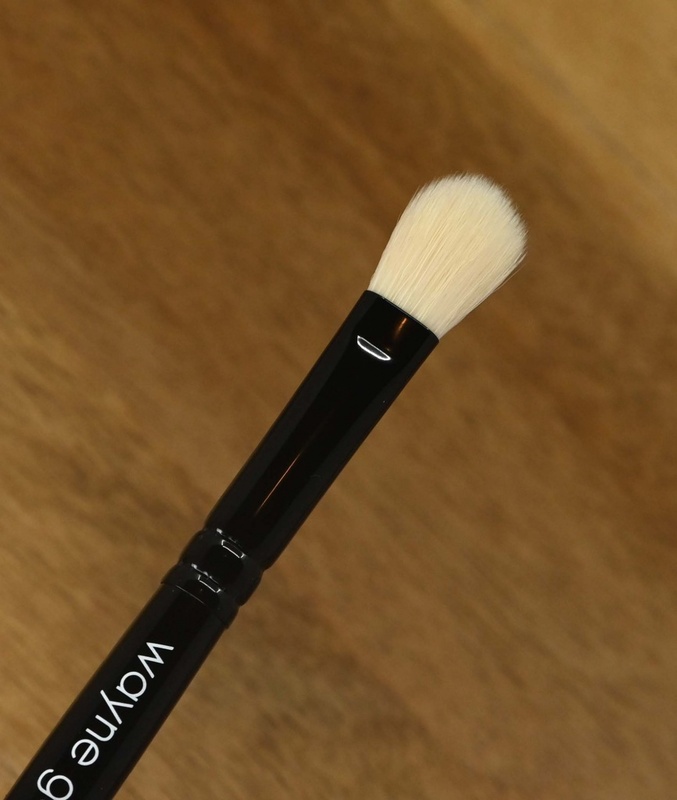 Also used it with bronzer, picked up the product and applied it evenly, I had no issues at all, I still prefer the performance of the natural bristles that’s for sure, but this is extremely soft and works nicely with powders. I was a bit worried at first because when it was drying it was looking uneven so I guess the different filaments dry differently, so don’t be alarmed, all gets into shape when dry! A Fude expert can see that this is synthetic, but it looks nice and fluffly and it seems that the more I use it the fluffier it gets. I can use this candle shape and size for everything, blush will be my favorite thing to pair it with. This one is the laydown/blending type of brush. The dirtier it gets the better it performs, seems like having some kind of residue on the bristles makes it even better, time will tell if this brush will splay out more. Compared to his WG 06, the 26S delivers more intensity and more defined edges (with powder products). You all know the Mac 217S and the new Tom Ford 13, this is how the shape and size compares. Even though the bristles of the Mac and TF are quite similar, technically speaking they don’t have the same filaments, so they are not the same – just in case you were wondering about these. Here is the pencil, this is where I see the most benefit using synthetic bristles: in shorter smaller brushes. Synthetic bristles often are more regular and predictable than natural so you don’t have that random eventual poke that you can find in short natural brushes. 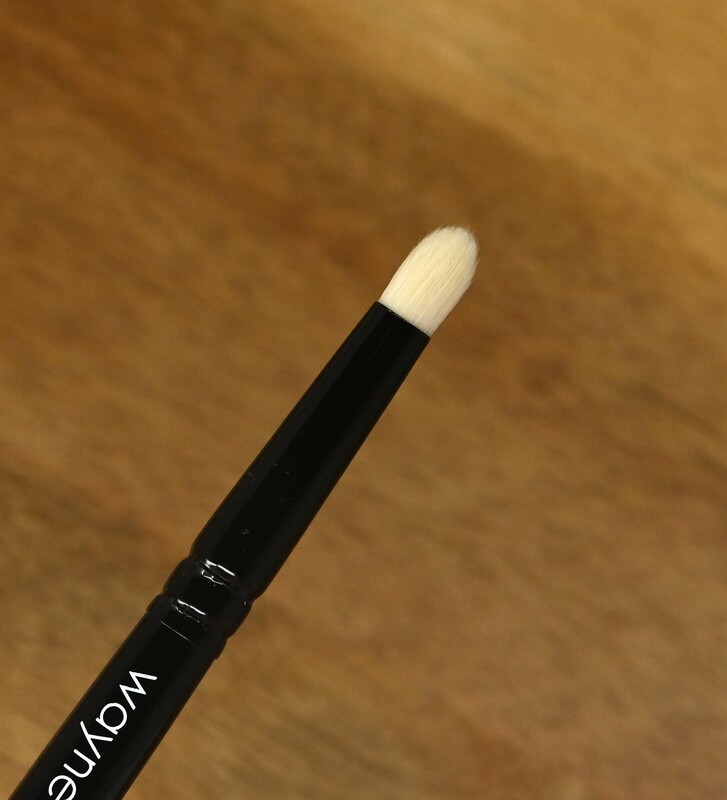 I find this pencil so nicely and evenly shaped, it’s a brush that I know I will really enjoy and use frequently with both powders and creams. 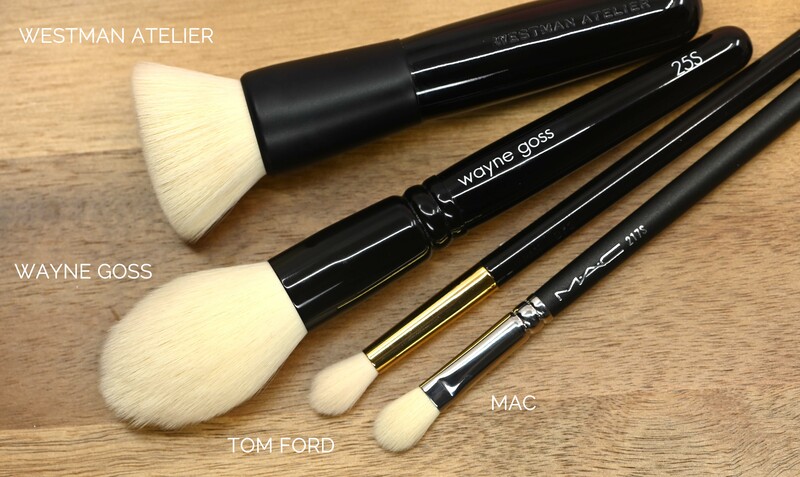 So there are other similar type of bristles out there, all these come from Kumano too, Westman Atelier, Mac, Tom Ford, they look alike but again, they are not exactly the same technically. I will review the synthetic Tom Ford, Mac and Westman Atelier in the future, they are quite new in my collection and did not play with them enough, still need to use other products with them and give them some time to evolve. I am not really a fan of these new Tom Ford or Mac but I think the main thing that bothers me is that the fluffiness of the natural bristles is missing, they do apply evenly and with intensity but I wish these TF or Mac would splay out a bit more. By the way, this is how you know the Tom Ford is the synthetic version, it’s writen debossed on the handle and if you can read an S there, it’s the synthetic. I love Wayne, he is a real friend, I am not saying this because it’s nice to say it but I mean it. He was there for me in very difficult moments, always asking about my health and my family, making sure I am ok, always, consistently. This is him, he truly cares and wants to offer these synthetic brushes because he believes in them. I really really enjoy the candle one and the pencil most! 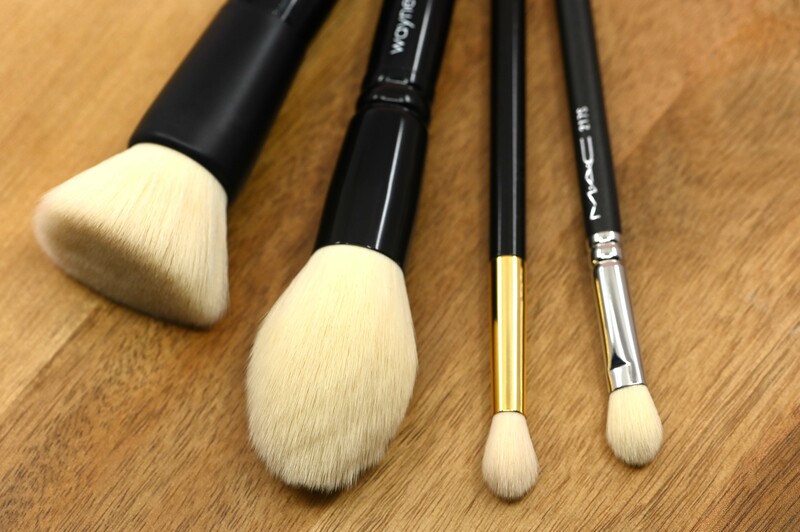 If you were waiting for these synthetic brushes, here they are! Available on Beautylish as of now, here. You can use them with powders, liquids and creams. Please kindly hop to this video of Wayne explaining their purpose! 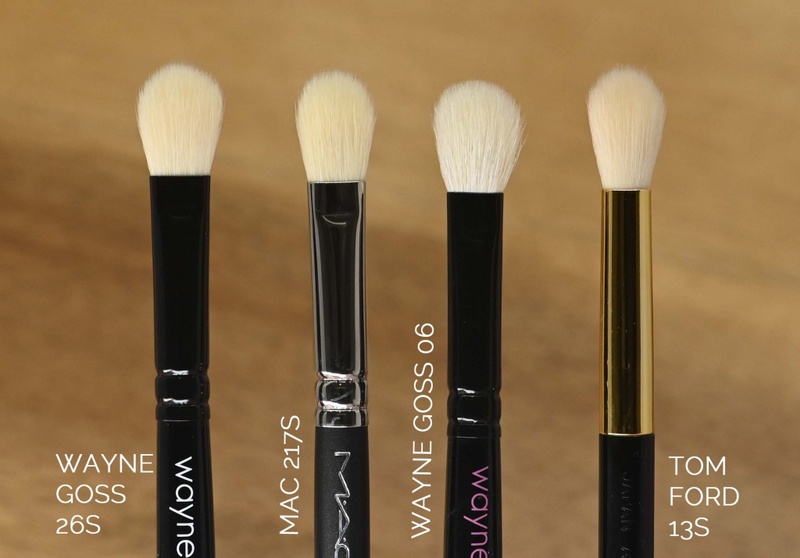 Wayne Goss The Synthetics was last modified: February 1st, 2019 by Sonia G.
I am beyond thrilled that you broke down the reasons for cost! The comments were overwhelming, and I wish people would take the time to find out why. I myself know very little about brushes, and because of you and Wayne I have been more inclined to research! I ordered my set yesterday, and can’t wait to try them out! Thank you for all of the information about the difference of synthetic bristles this is very interesting. 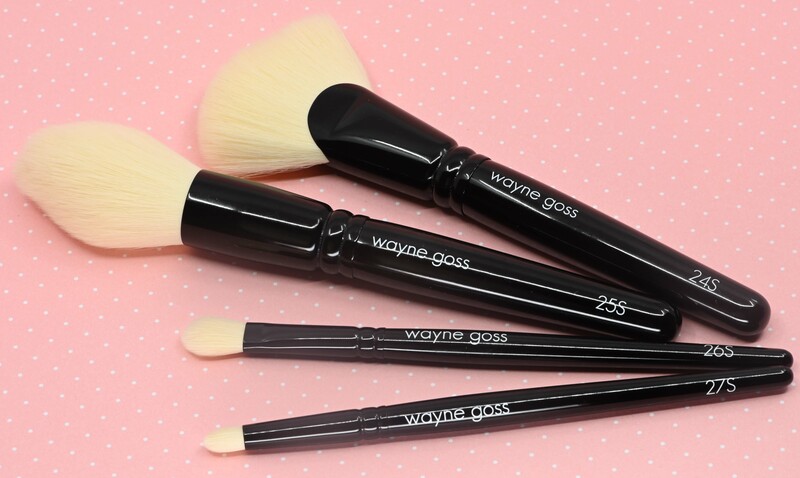 I’m happy to say that I trust Wayne and pre-ordered this set two days ago I believe in Wayne, Wayne believes in his brushes so that’s enough for me. I’m so excited to see what the future holds for Wayne Goss Cosmetics !! I do believe that sadly this collection will be polarized, people will either love it or just refrain because of the price, Nobody wants to pay that much for synthetics; even tho TF has not become any cheaper. The commitment to the craftsmanship is something that a lot of people wont be able to hmm appreciate especially when well stablished companies like morphe (yuk ,lol) or Real Techniques have the cost for a fraction . This is just an observation from a consumer point of view. I sincerely was interested but did not purchased them mainly because I had just splurge on the face pro set, and with 3 kids , the twins still using tonsss of diapers , My spending budget on myself is limited, But I am really looking forward for a more indepth review. 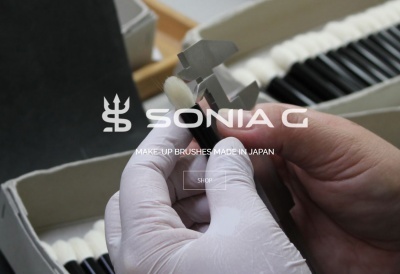 Sonia, have you heard about Koyudo fu-pa01 CB Foundation Brush? I saw it in CDJAPAN and want to know if it truly is “extra-soft synthetic hair” as they say. 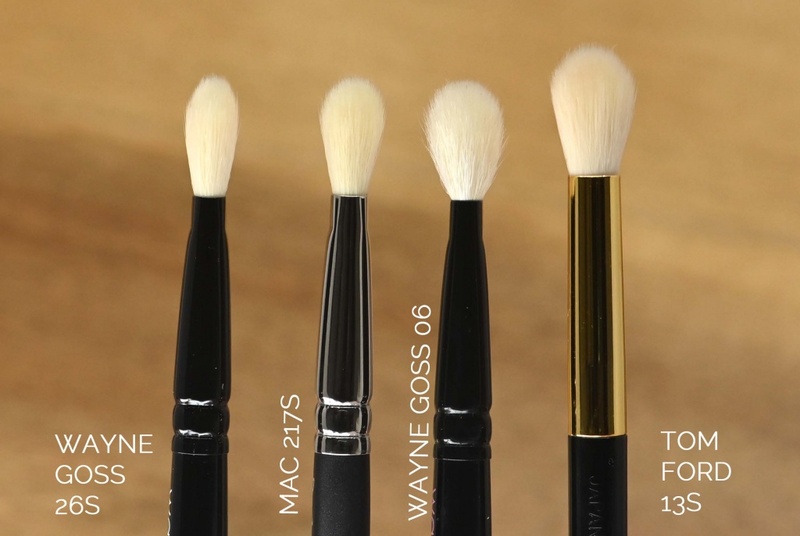 And if it’s comparable to the wayne goss synthetic brushes.